Debbie Johnston has been named vice president of advocacy for the Arizona Hospital and Healthcare Association, effective Sept. 7. 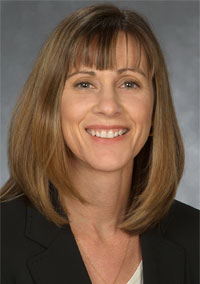 Johnston, 48, succeeds Laurie Liles, who recently was promoted to president of the Phoenix-based organization representing hospitals in the state. Since 2004, Johnston has managed federal and state regulatory efforts for the association as director of regulatory advocacy. Prior to joining the association, she spent 10 years working for the Arizona State Senate, including as research staff director. “Debbie's integrity, together with her considerable intellectual gifts and strong interpersonal skills uniquely qualify her to serve as AzHHA's vice president of advocacy and the association's top lobbyist,” Liles said in a written statement.